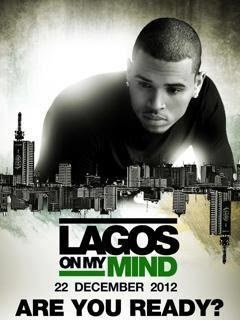 Chris Brown is coming to Lagos!!!!!!!!!!!! Yeah!!!!!!!! He's set to perform at the main hall, Eko Hotel,Victoria Island on December 22,2012.